As part of the Nautic Global Group of Elkhart, Indiana, Rinker Boats for 2013 offers twenty-three models of Captiva sport boats, MTX deck-style sport boats, and Express Cruisers from eighteen through forty-one feet. The all-new Captiva 186 FS BR (Fish & Ski, Bowrider) subject of this review at 18’9” LOA on a 7’5” beam is the smallest of the fourteen model Captiva sport boat lineup of outboard and sterndrive powered bowriders and cuddy cabins available up to thirty feet. The Captiva 186 actually consists of four models; two outboard powered and two sterndrive powered; two with the “FS” designation, and two without. All four variants appear at first glance to have approximately the same interior layout from the rear of the cockpit forward but the two outboard models, at 18’8” LOA are actually one-inch shorter than the two sterndrive models, most likely due to the full width integral swim platform on the sterndrive models. Also, the “FS” fish & ski models, both outboard and sterndrive, offer several interior modifications specifically with the fisherperson in mind. 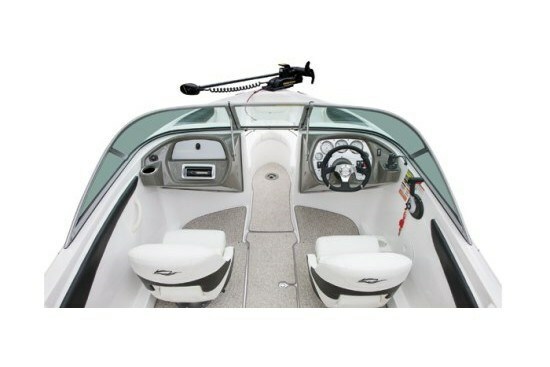 To clarify, the Captiva 186 FS BR designates the sterndrive powered fish & ski model. The large, integrated curved swim platform includes a molded in stainless steel ski tow eye on its trailing edge plus a folding, telescoping stainless steel swim ladder recessed into the surface of the starboard side of this platform with a grab handle assist. The sunpad over the motor box is large with three curvaceous aft pad sections colour-matched to your choice of six hull accent colours. Storage is provided beneath this sunpad on both sides of the sterndrive motor. From this sunpad forward, the fish & ski option package differentiates the FS model. The rear “bench” seating on the FS is actually two individual outboard-mounted removable chairs plus a centre one or two-seater cushioned bench seat with backrest. This centre seat is hinged to reveal a recirculating baitwell beneath. Of course, a recirculating well like this becomes a great family-use beverage cooler or even dry storage when not dedicated for fishing purposes. 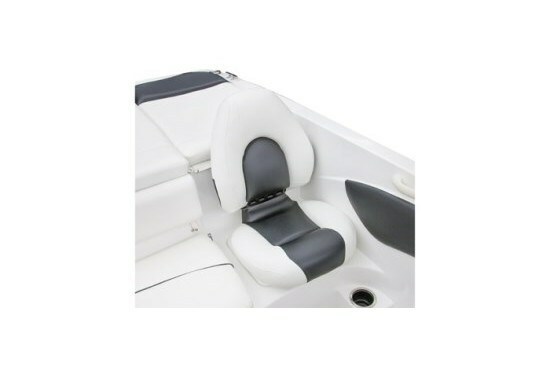 The two outboard chairs come with mounting pedestal poles which allow these seats to become pedestal fishing chairs at their existing locations which are equipped with mounting plates, or with one moved to the bow area which is equipped with a mounting plate on a filler section which turns the bow area in to a casting platform. Both these chairs and the internal cockpit bolster padding are colour matched vinyl accented to match the hull accenting colour you choose. 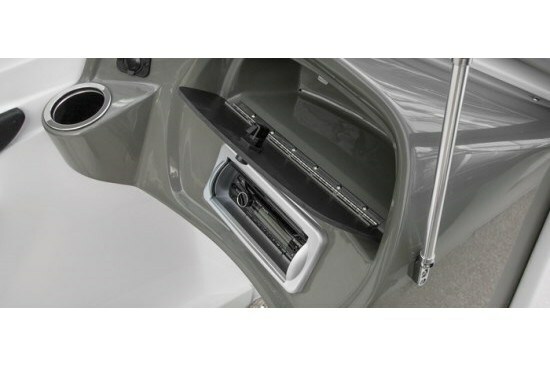 Moving forward in the cockpit, an in-floor storage compartment is useful for both family recreation and fishing – for storage of safety equipment like life vests, or for watersports accessories, or for fishing poles and tackle boxes, etc. Bucket seats are provided for the driver and passenger and these may be optionally upgraded with flip-up bolsters. The passenger helm has a lockable glove box, 12-volt accessory receptacle, and houses the standard Sony CDXM20 stereo. This may be optionally upgraded to include Sirius satellite radio or to a Sony DSXMS60 system with integrated iPod docking station. Upgraded speakers are also available. The curved bow seating with padded backrests throughout features dry storage beneath all cushions. 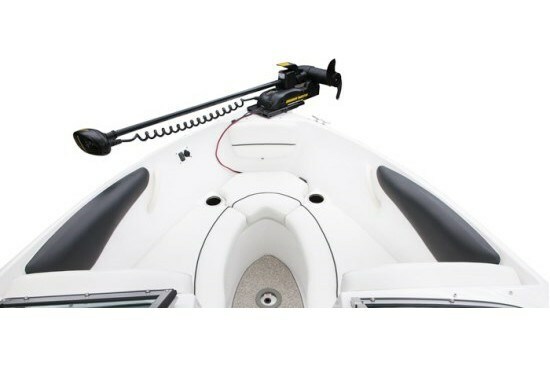 An anchor storage locker is provided right in the bow with a horizontal mounting surface above for an auxiliary electric trolling motor. 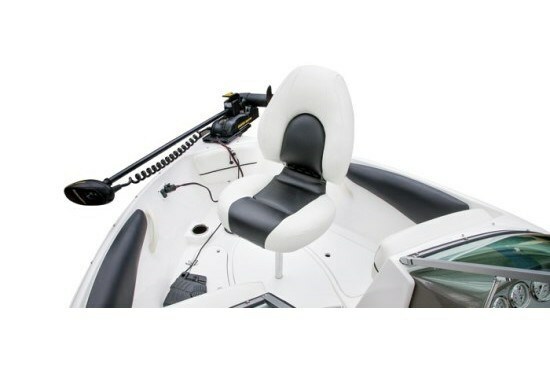 A bow side panel plug-in is supplied for power for this trolling motor. Standard equipment on the Captiva 186 FS BR includes a single axle painted trailer. 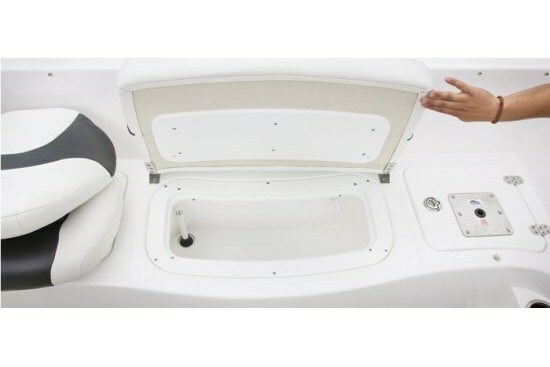 Notable options include bimini top, bow and cockpit covers, snap-in cockpit carpet, automatic fire extinguishing system, transom remote trim/tilt switch, colour-matched dash module, digital depth gauge, tilt steering, and trailer upgrades. Sterndrive power from MerCruiser or Volvo Penta from 135 to 225 horsepower is available.